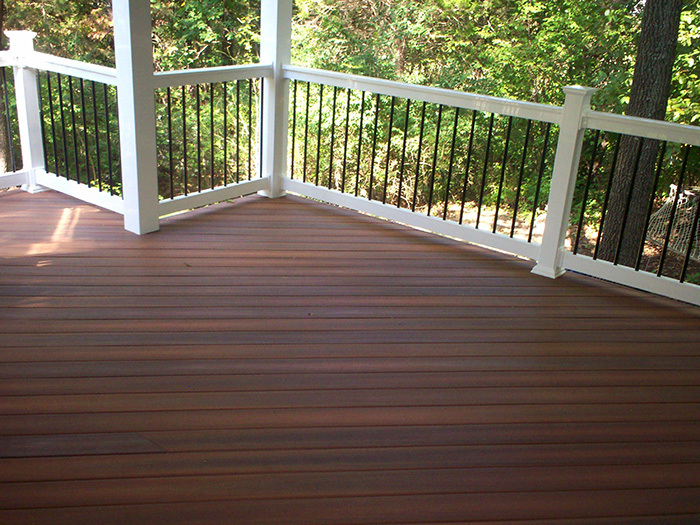 Aurora Plastics offers an exceptionally strong and durable line of compounds for decking and railing applications, including AuroraTec™ rigid PVCs, AuroraShield™ premium pellet capstocks, and Auroralite™ cellular foam rigid PVC products. AuroraTec™ exterior weatherable rigid PVC compounds meet AAMA (American Architectural Manufacturers Association) standards for outdoor performance and are highly impact resistant. These compounds are available in powder or pellet form in various colors for decking applications. Aurora Plastics compounds for deck and rail applications.